A team of scientists from the University of California, Los Angeles (UCLA) and Northwestern University has produced 3-D images and videos of a tiny platinum nanoparticle at atomic resolution that reveal new details of defects in nanomaterials that have not been seen before. The paper is titled “Three-dimensional imaging of dislocations in a nanoparticle at atomic resolution.” In addition to Miao and Marks, other authors of the paper, all from UCLA, are co-first authors Chien-Chun Chen and Chun Zhu and co-authors Edward R. White, Chin-Yi Chiu, Mary Scott, Chris Regan and Yu Huang. 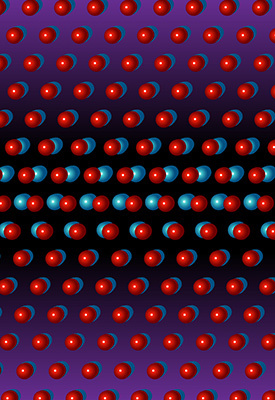 Watch a video of a 3-D rendering of the platinum nanoparticle.